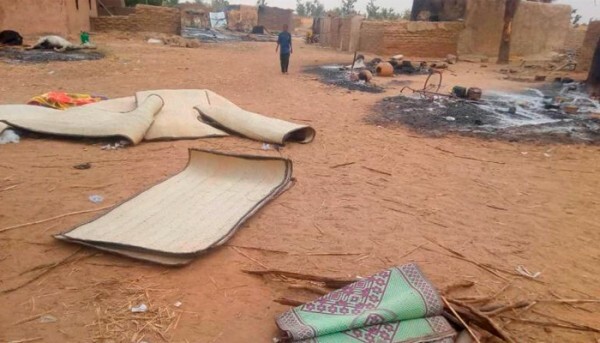 Two villages in central Mali located in the Bankass circle played host to a massacre that made no distinction between men and women, young and old; an episode that left 160 dead and about 50 injured. The victims of this massacre were predominantly Fulani. The killers who came at dawn dressed in traditional hunter’s outfits destroyed the villages by burning huts, food and animals. This has been the deadliest attack since the grave deterioration of security conditions in this part of Mali. However, there have been dozens of such tragedies for more than a year. The United Nations estimates that 500 people died as a result of the violence in central Mali in 2018. The foregoing paragraphs describe a series of unilateral acts of violence specifically targeting populations belonging to the Fulani community, in central Mali and northern Burkina Faso. In both cases, the implicit justification for the attacks targeting Fulani people is their supposed membership or support for jihadist armed groups operating in both countries. In fact, the sharp deterioration of security conditions in Burkina Faso is directly linked to that in the central region of Mali; a region, which has come under the partial control of the armed jihadists, affiliated with Amadou Koufa. In both Mali and Burkina Faso, there is no doubt that the mobility of jihadist armed groups from north to south in the Sahel-Saharan region and their ability to establish reliable local connections based on old networks has been a catalyst for violence. By settling in central Mali, an ethno-culturally diverse area where communities specialize in economic activities that put them in fierce competition for land and other natural resources, terrorist groups have done a great job of imploding inter-ethnic cohabitation. With the absence of any protective presence of Malian security forces from these communities that are largely abandoned to their own fate, one can imagine how thin the line can be between being actual members of the jihadist groups and being forced to submit to the law of such groups because of the need to survive in a context of extreme vulnerability. The activities of community self-defence militias, whether or not associated with traditional hunting brotherhoods, have only seemed to prosper. It is a certainty that there are dozens or hundreds of young Fulani men who have been long-time members of groups with extremist and violent tendencies in Mali and that others have joined them more recently. It is also certain that there are hundreds of thousands of Fulani living in central Mali or northern Burkina Faso, who have absolutely nothing to do with armed jihadism, and who are in fact, its main victims. Also present in this perpetrator-victim mix, are unscrupulous opportunists in these ethnic communities who take advantage of the increased lawlessness and widespread impunity to pursue unspeakable economic and political agendas, including land grabbing and the expulsion of rivals. These are obvious facts that are worth recalling today, when massacres of Fulani civilians are attributed in Mali to Dogon self-defence militias, in Burkina Faso to Koglweogo militias in the Mossi community. To paint of a full picture of the extremely worrying situation, summary executions of unarmed civilians, or other massacres, are also attributed to regular armed forces that claim to be combating terrorist groups. Such accusations have regularly damaged the image of the Malian Army and the same is true for Burkina Faso’s Armed Forces. The Burkinabe Movement for Human and People’s Rights and the international organization, Human Rights Watch, recently published reports that seem to confirm the execution of more than 100 unarmed civilians accused of supporting or harbouring armed Islamists by Burkinabe security forces. The victims were almost exclusively Fulani. To paint of a full picture of the extremely worrying situation, summary executions of unarmed civilians, or other massacres, are also attributed to regular armed forces that claim to be combating terrorist groups. The structural and cyclical causes of violence in central Mali are well known: local conflicts over the control of scarce resources; the absence or proven inability of the State to guarantee peaceful coexistence between communities; the proliferation of irregular armed groups; the criminal opportunism of jihadist armed groups; tolerance and even active support for so-called self-defence armed militias by political authorities at local and national level. There is no short-term solution to these fundamental problems. Transforming Mali or Burkina Faso’s defence and security forces into solidly trained forces that care for civilian populations regardless of their ethnic affiliations is not a one-day affair. In the same vein, a two-day strategy will not stop the proliferation of weapons of war in these areas. The complete neutralisation of terrorist groups by Malian and Burkinabe forces, supported by French soldiers and aircraft from Operation Barkhane, is also not foreseen in the near future. Thus, issues that can be addressed in the immediate are those relating to political commitment, communication and collective citizen mobilization. There must be no ambiguity in the political reaction and discourse in Mali or Burkina Faso: no impunity for murderers, whoever they may be, and there should be zero tolerance for collectivizing an entire ethnic group because a given group of criminals belong to that group. Nothing should cast doubt on the commitment of the political authorities of the concerned States, even at the height of their weakness. To avoid apportioning responsibility to an entire community for crimes committed by a few, it is necessary to invest in exceptional and efficient investigations methods in order to identify and arrest the murderers involved in the recent massacres in Mali and Burkina Faso. On a final note, beyond the political actions to be taken by governments, civil societies in Mali, Burkina Faso and West Africa more broadly, must also play an essential role in prevention through education and awareness. It is time to recognize that ethnic-based negative prejudices and sentiments of superiority or inferiority complex exist in all countries of the region. We must also accept that these negative prejudices and sentiments can encourage the trivialization of the injustices that affect a community. As soon as we begin to find any justification for differential treatment based on ethnicity, we open the door to the trivialisation of ethnic intolerance and, later, to ethnic violence. Today, we must proclaim it loud and clear, without blinking, without doubting, that we are all Fulani. We are all Africans committed to ensuring that each of our lives is considered sacred. We are all human beings with equal rights and dignity, none of whom can rationally explain why he or she was born in Mali into a Peule, Tuareg, Bambara or Dogon family or in Burkina Faso into a Mossi, Bisa or Fulani family. Especially in the light of the extent of interbreeding and ethno-cultural mixing in the Sahel and other West African countries, we all have a responsibility to fight, each on our own level and with our own means. We have to fight to reverse stupidity, wherever it gnaws at our humanity and destroys our future. Gilles Olakounlé Yabi is a political analyst and economist. 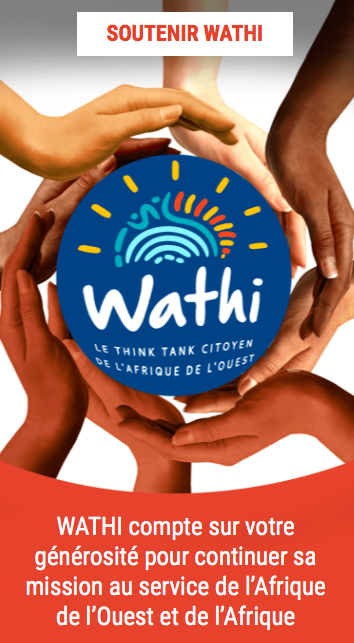 A former Project Director, West Africa with the International Crisis Group, and a former journalist with Jeune Afrique, he is the founder and the president of the Steering Committee of WATHI. The opinions expressed in this article are personal. Bravo Gilles! Tu n’as pas peur de dire la vérité même si elle peut choquer certaines personnes.